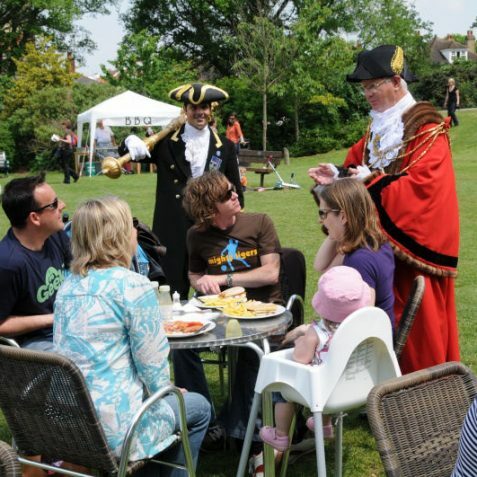 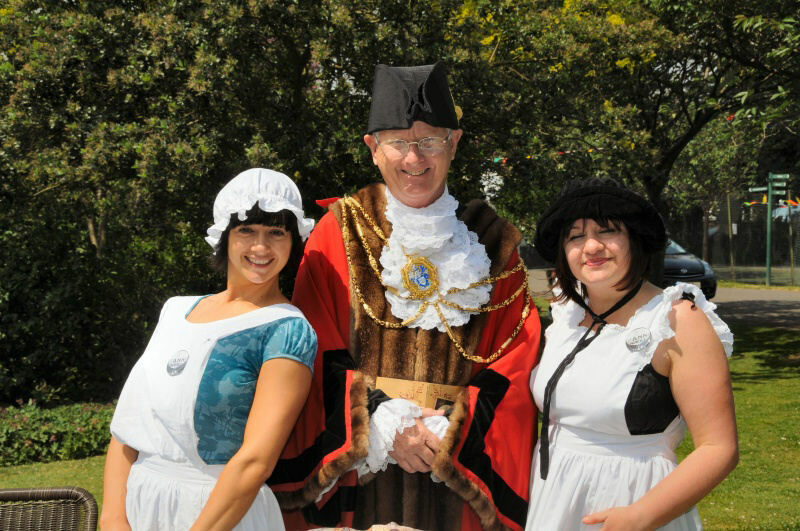 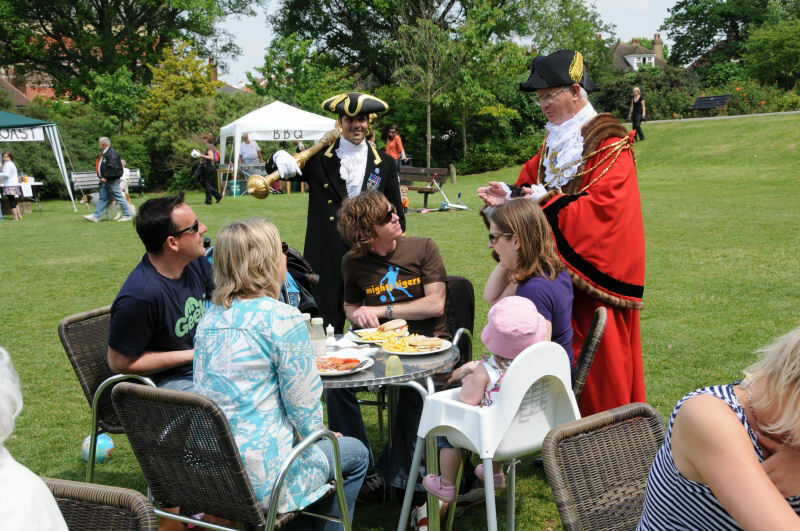 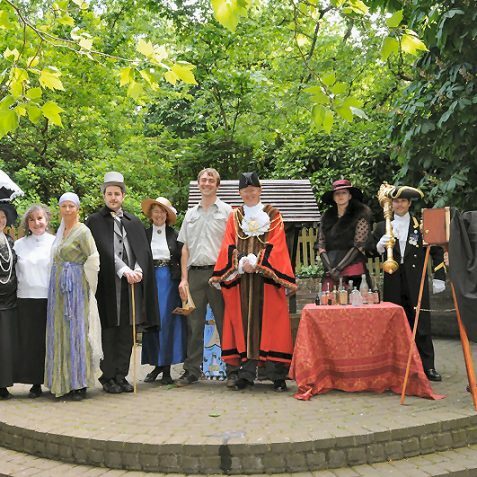 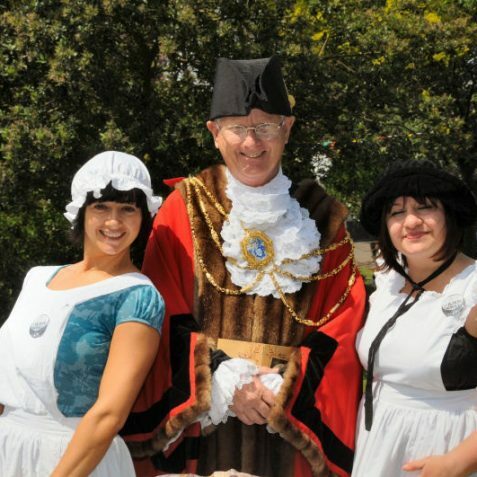 The Mayor meets some comely wenches! 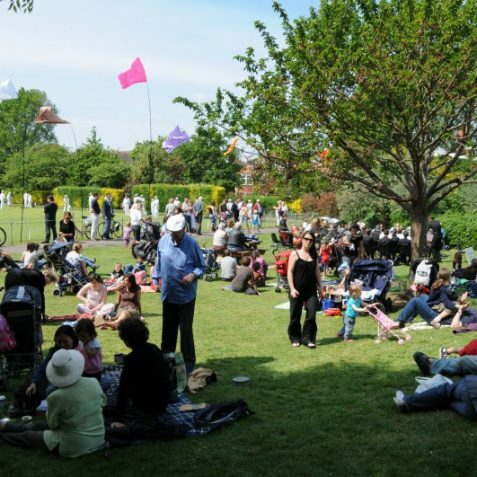 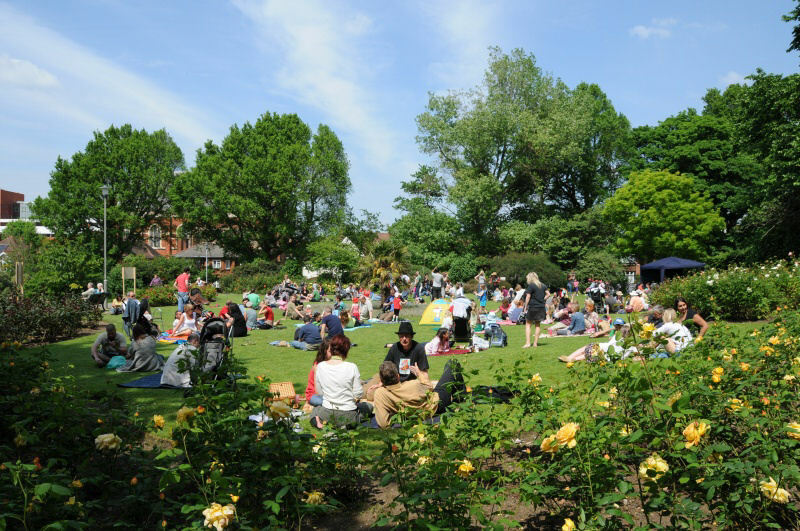 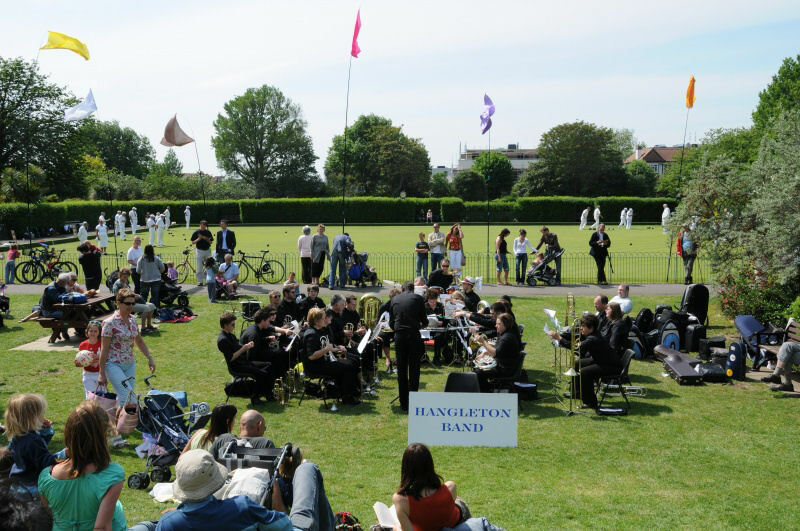 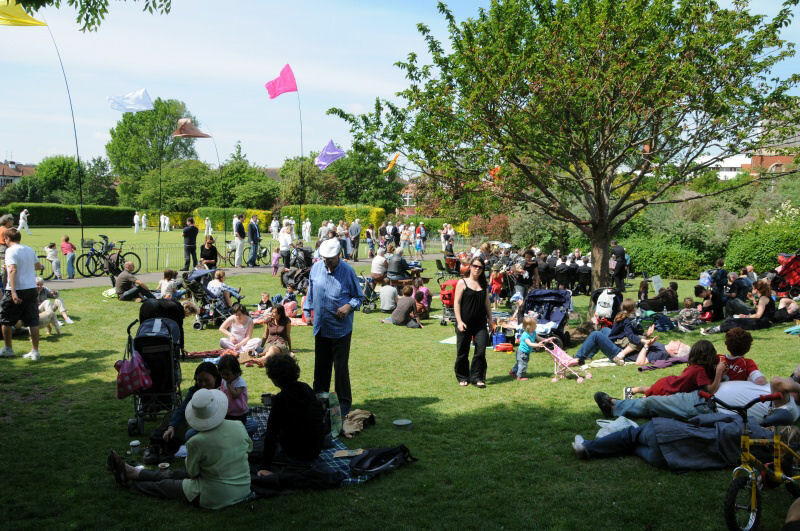 For years Hove council had wanted to buy the gardens so that it could be made into a public park, negotiations went on for years and in 1906 the gardens were offered to the council on a 100 year lease. 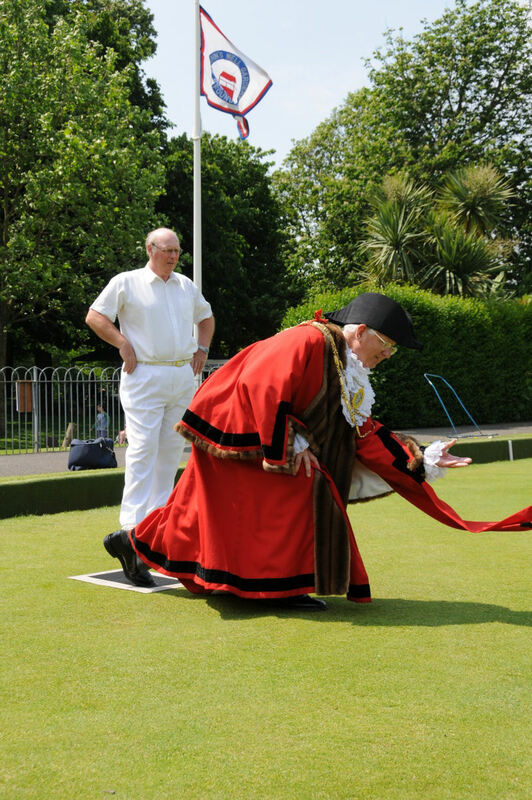 Thankfully the sub committee recommended against buying the lease and finally in 1907, Mr d’Avigdor Goldsmid sold the gardens to Hove council for £10,000 which was incredibly generous of him (and very fortunate for us!) 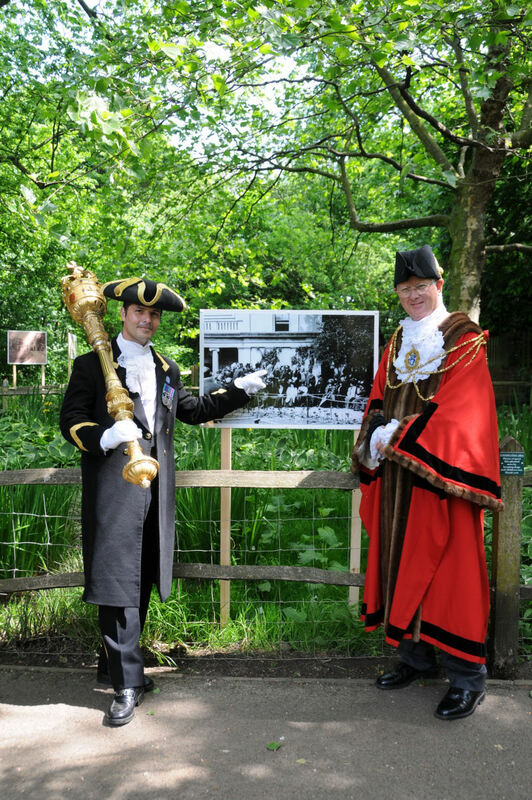 because he did have offers of £26,000 from local businessmen who wanted to build on the gardens. 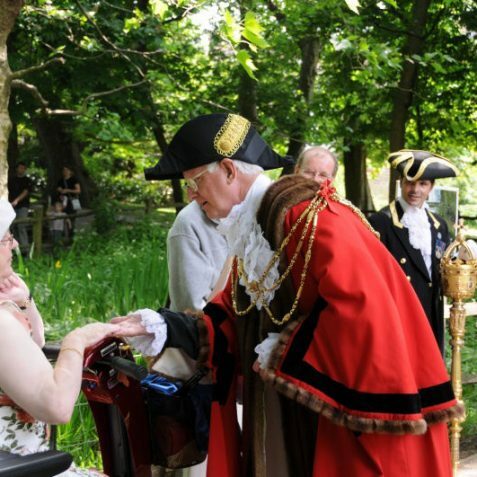 On Empire day (Queen Victoria’s birthday) the 23rd of May 1908 St Ann’s Well Gardens were finally opened to the public with much pomp and ceremony. 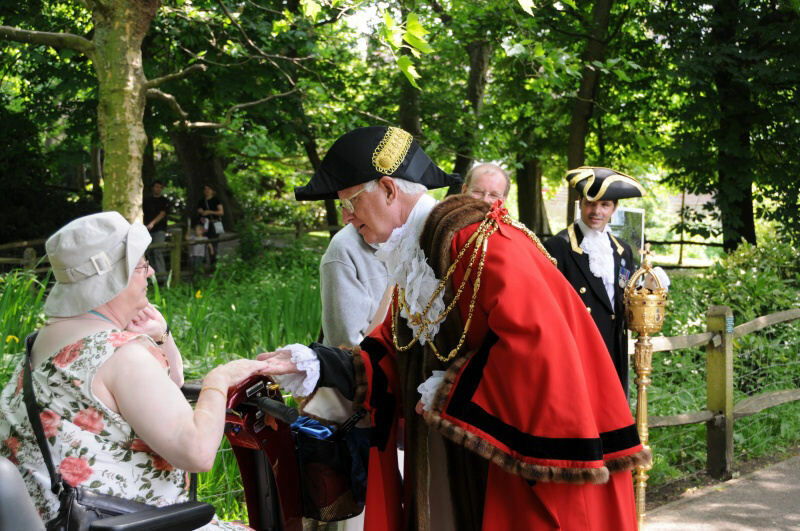 The Park has benefited from many public spirited benefactors over the years. 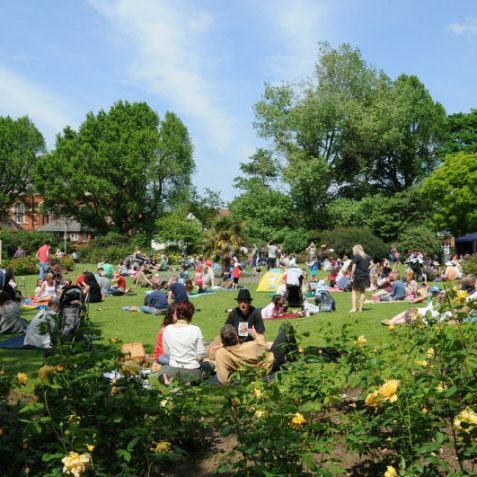 In 1913 Mrs Flora Sassoon purchased more land from the Goldsmid estate and donated it to Hove council on condition that it be added to the gardens. 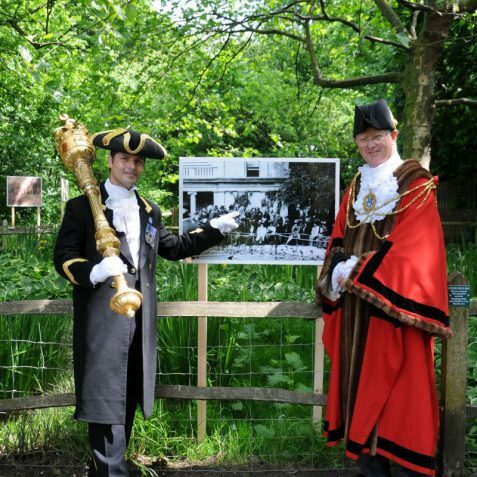 So on the 1st of May 1913 the area of land that today includes the Scented Garden for the blind and the tennis courts was opened up to the public, again with a Grand ceremony. 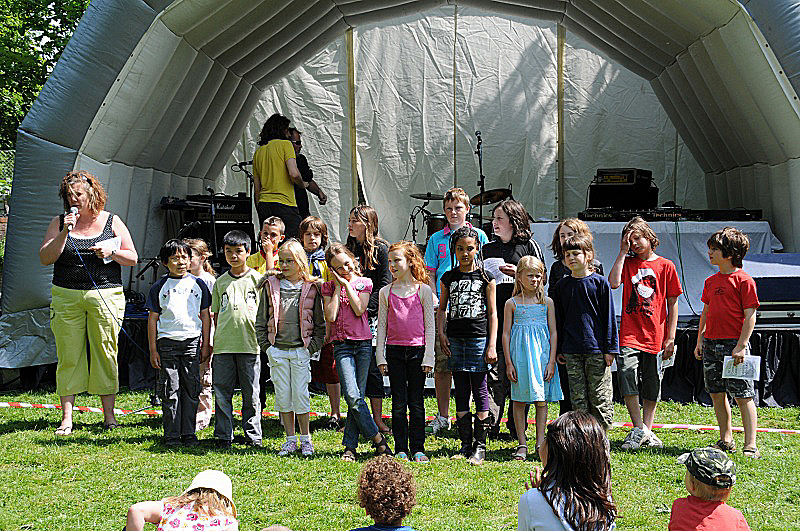 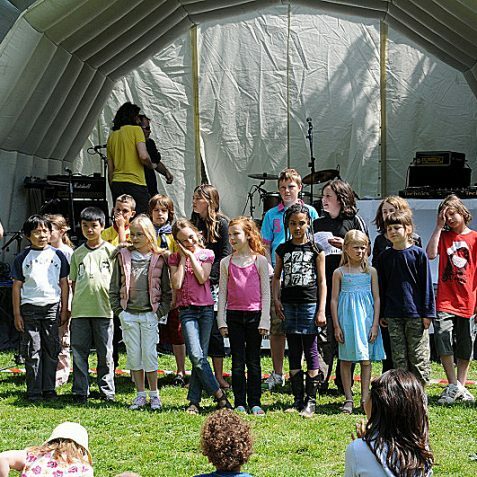 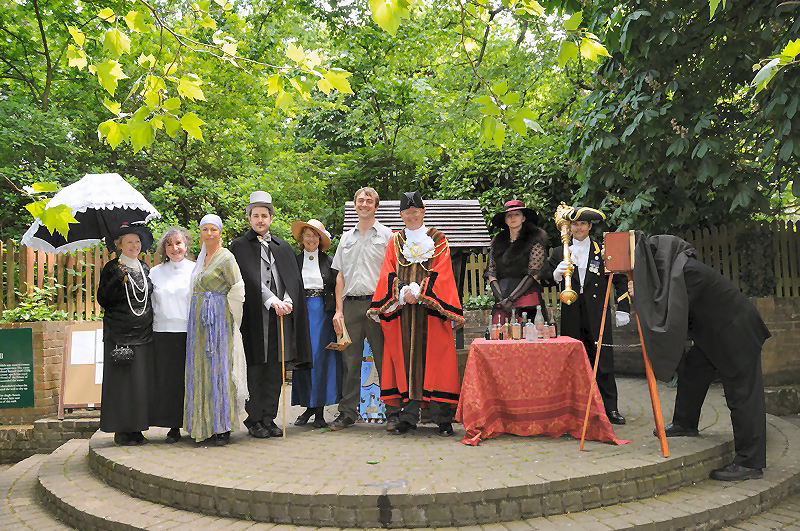 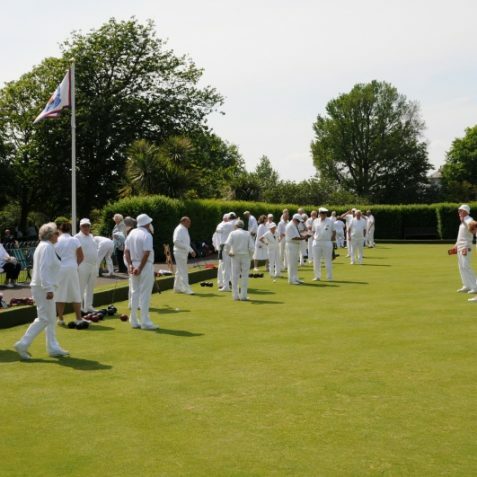 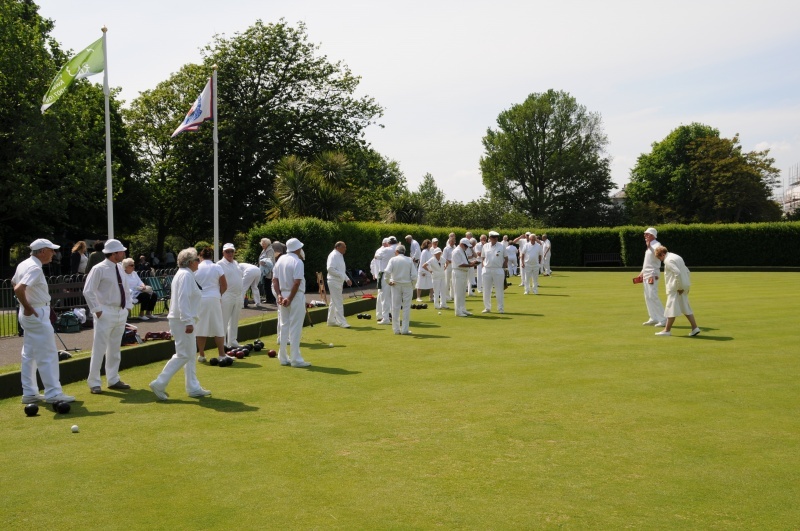 To celebrate the centenary this year, a day of celebrations were held. 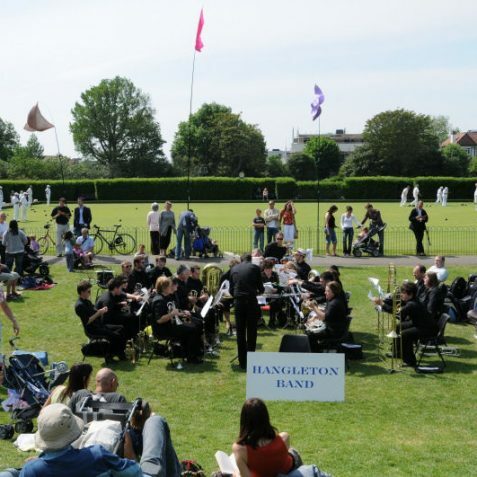 Against all odds the weather held up and an entertaining day was had by the large crowds of well-wishers. 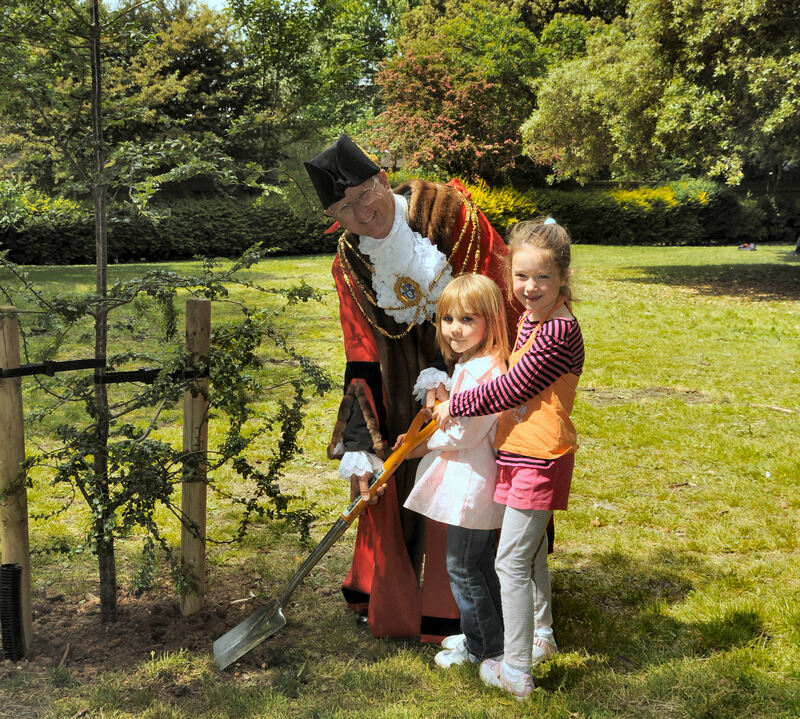 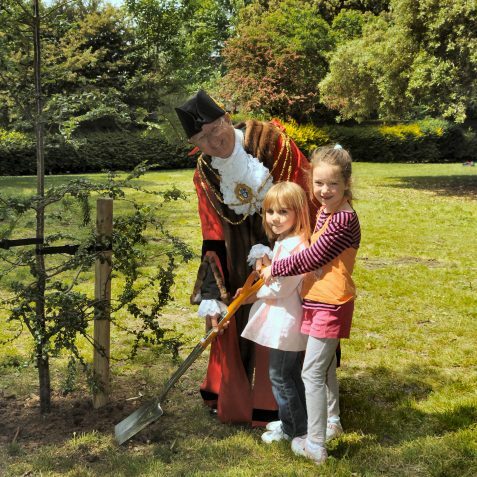 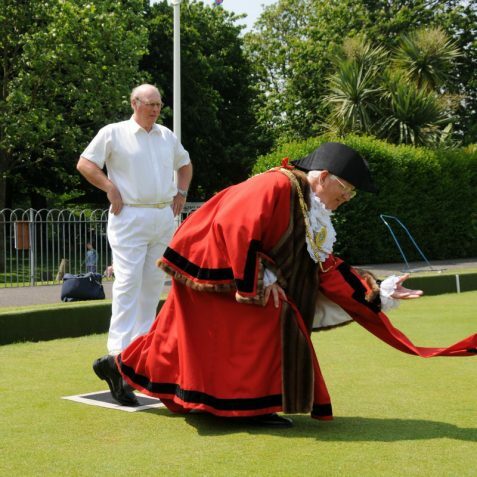 The Mayor of Brighton and Hove, Councillor Garry Pelzter Dunn, who was accompanied by the Mayoral Mace Bearer Robert Robertson, attended the centenary celebrations and planted a tree to mark the occasion.